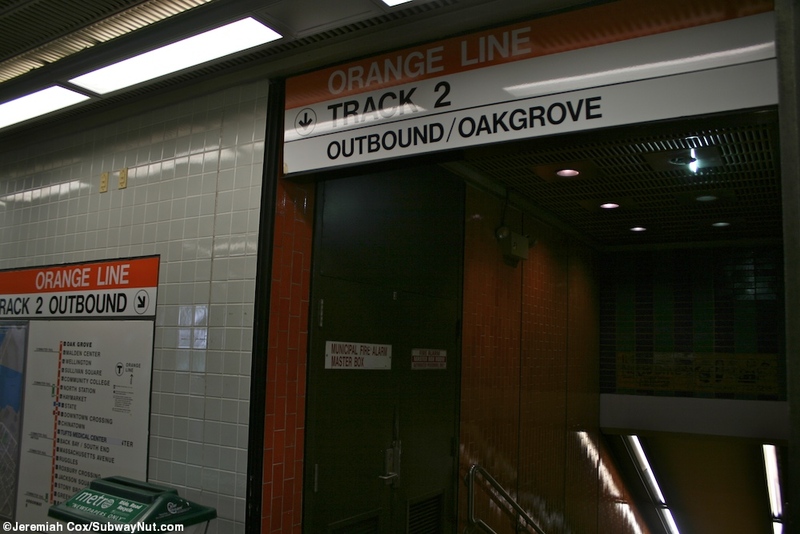 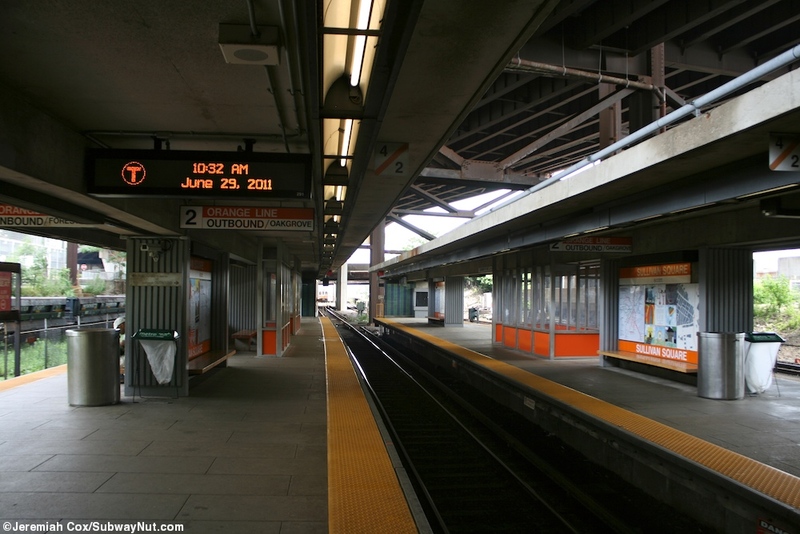 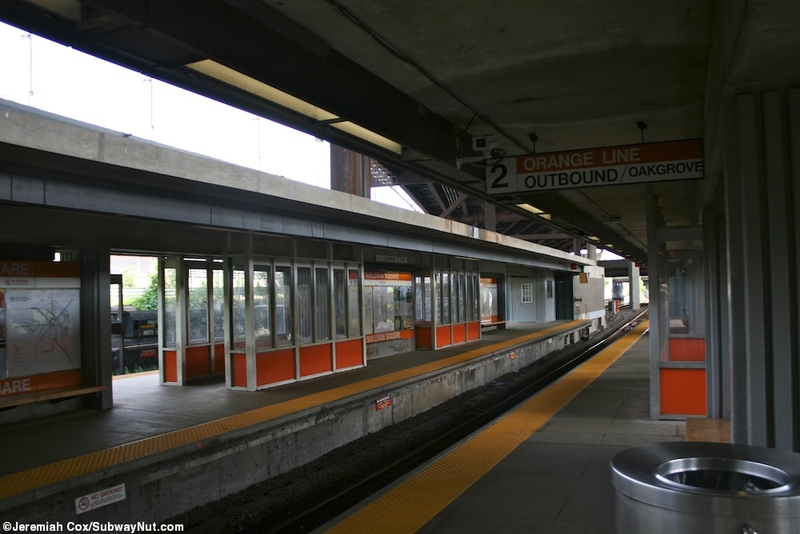 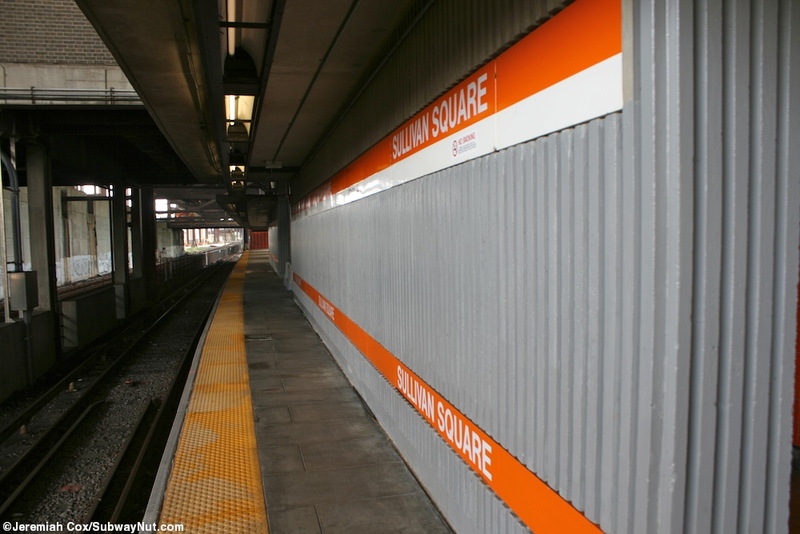 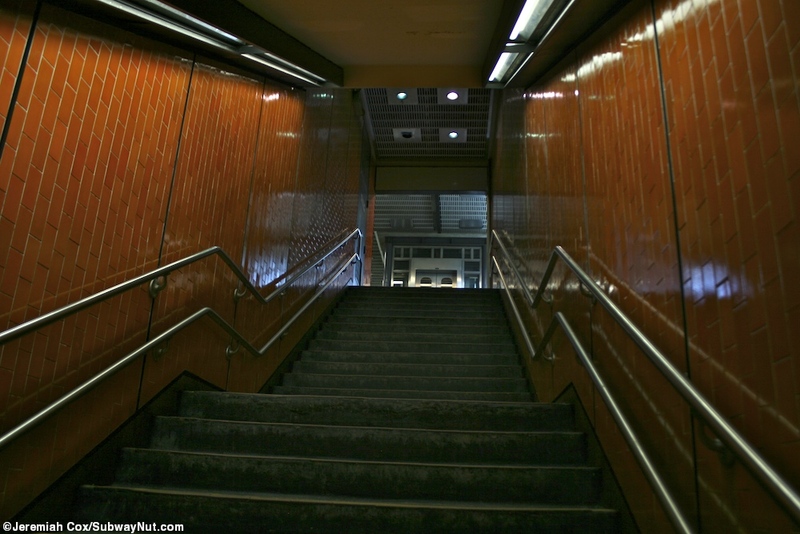 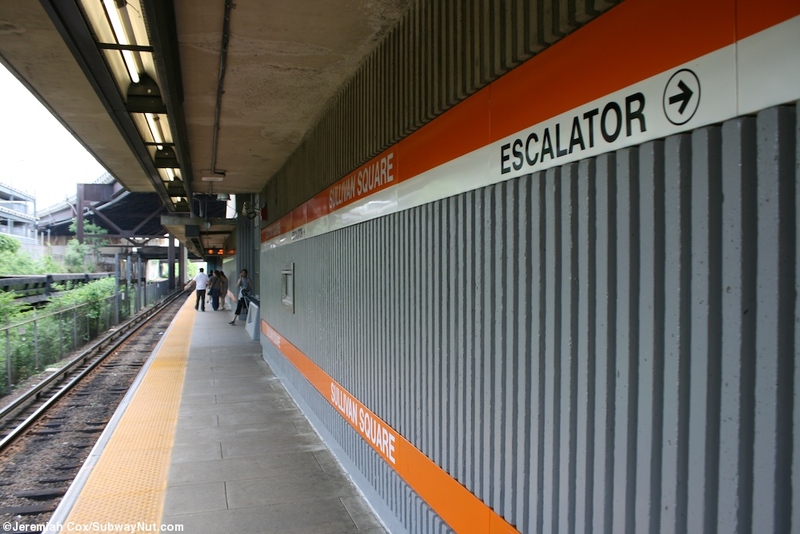 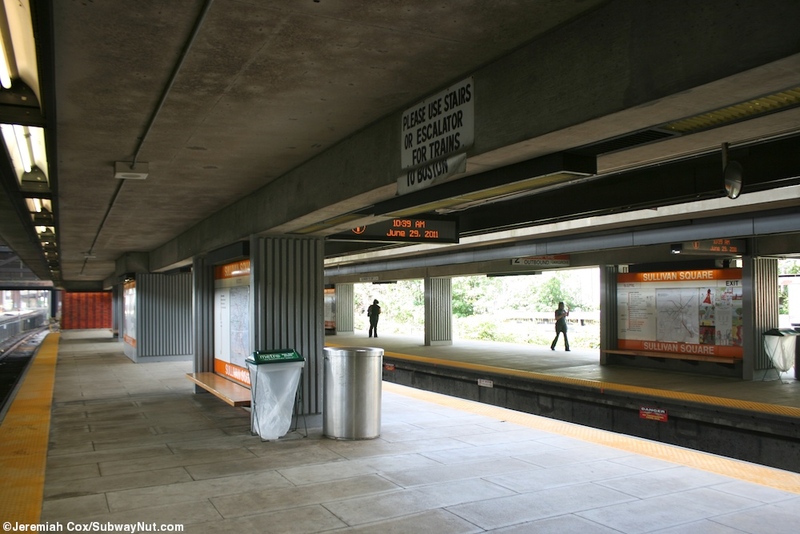 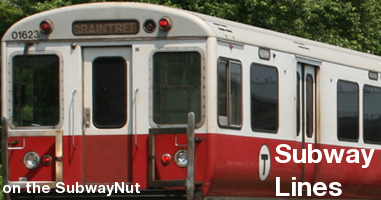 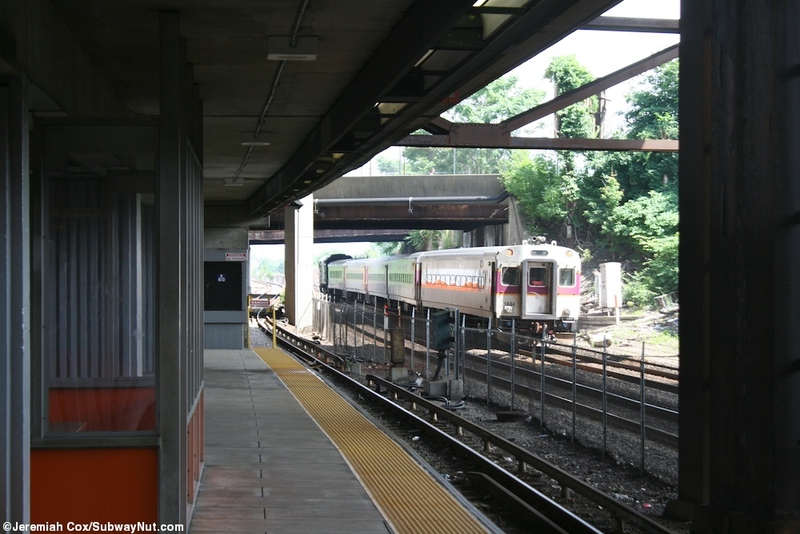 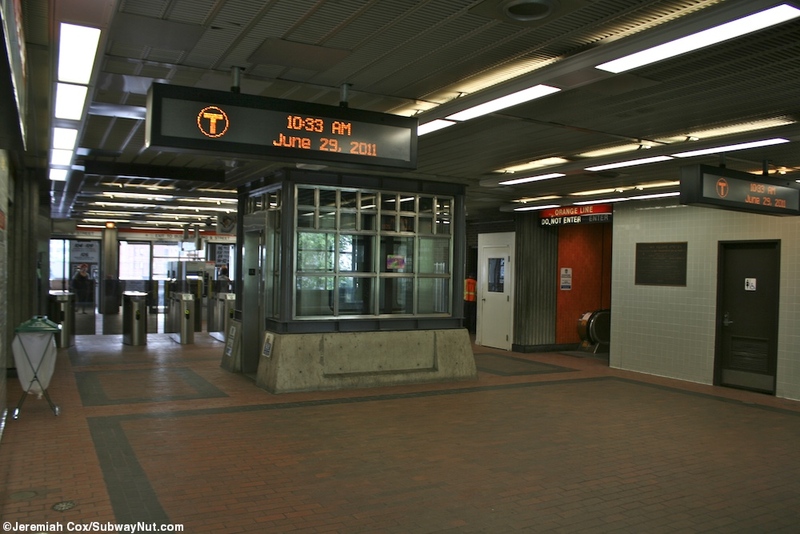 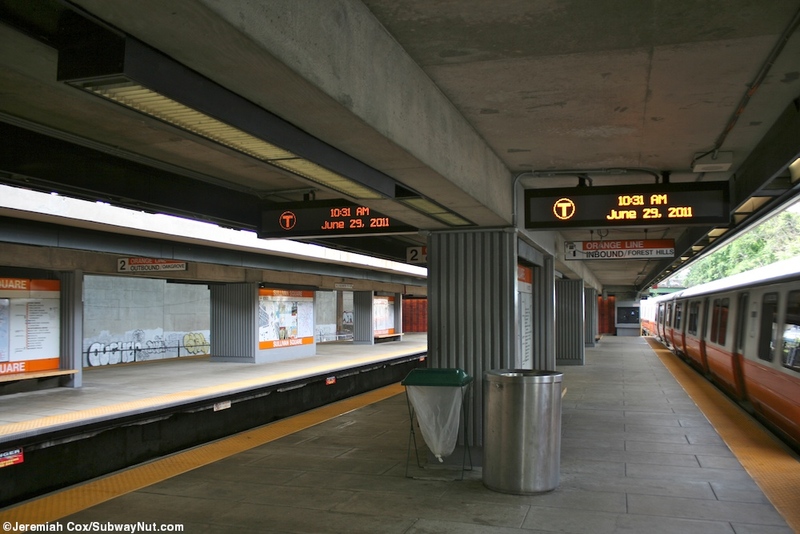 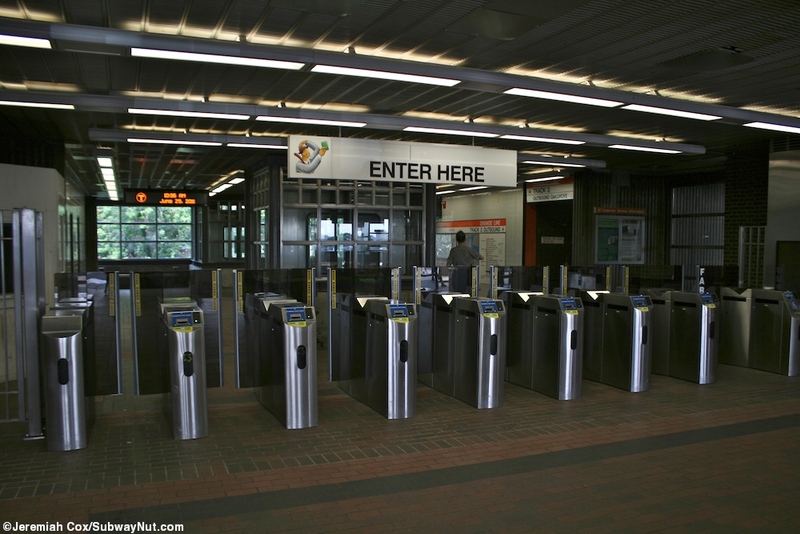 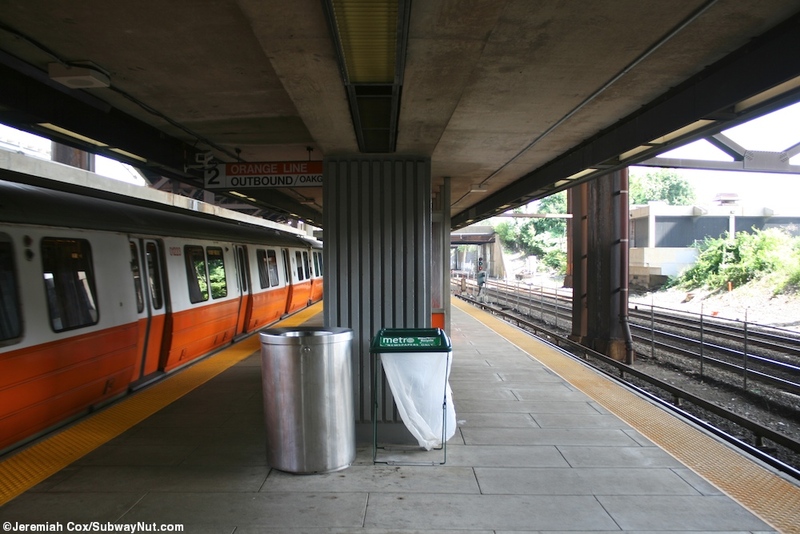 Sullivan Square is an orange line station on the strange three tracks, two island platform portion of the line with outbound trains running via the middle track and opening their doors on both sides for both platforms, one shared with the inbound. 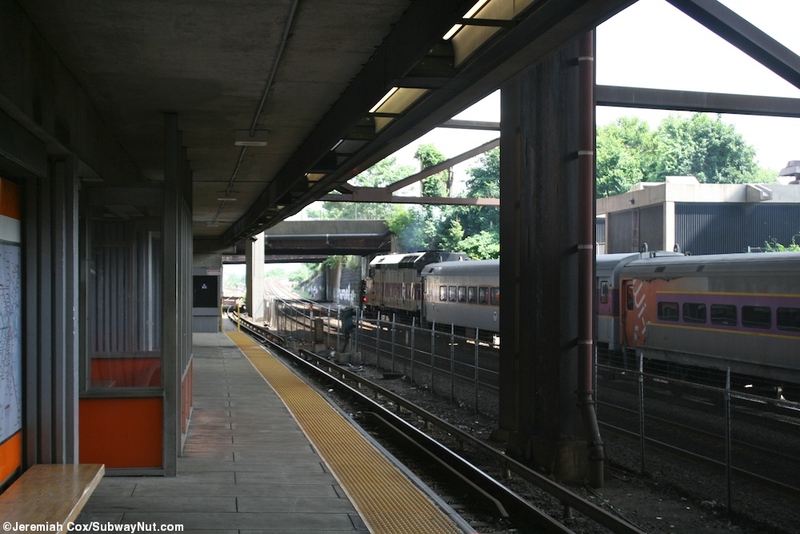 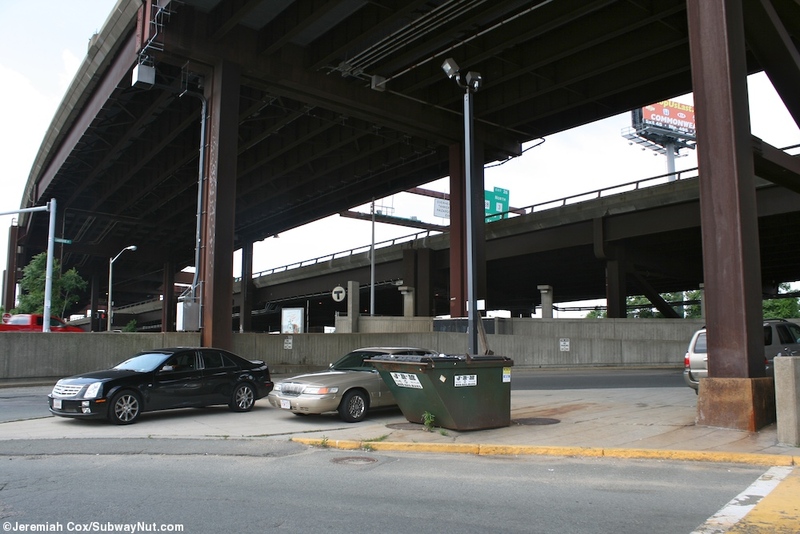 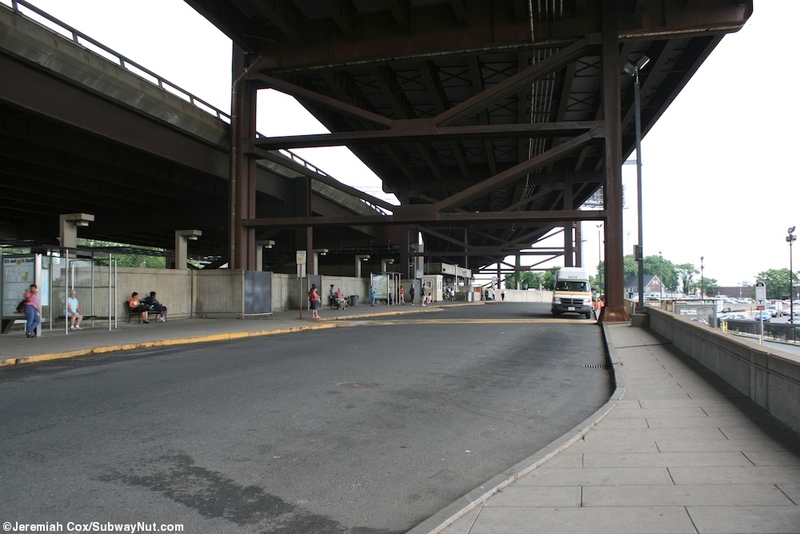 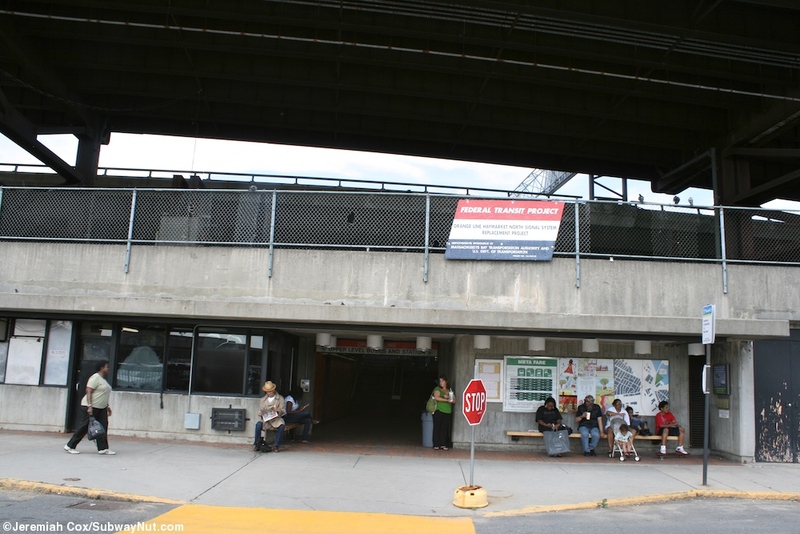 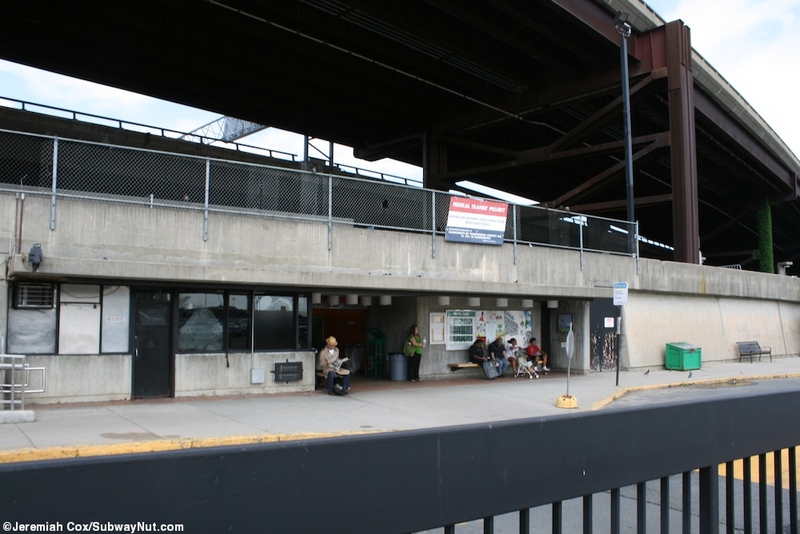 The station has the elevated structure of I-93 looming above it and waiting for trains is loud. 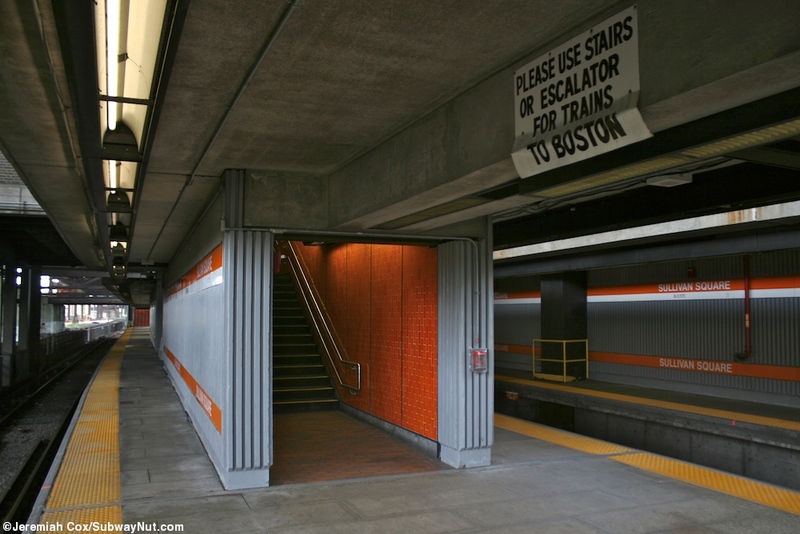 The station platforms are canopied for their entire lengths there is a central overpass type fare control area that has a staircase elevator and separate escalator up from each platform. 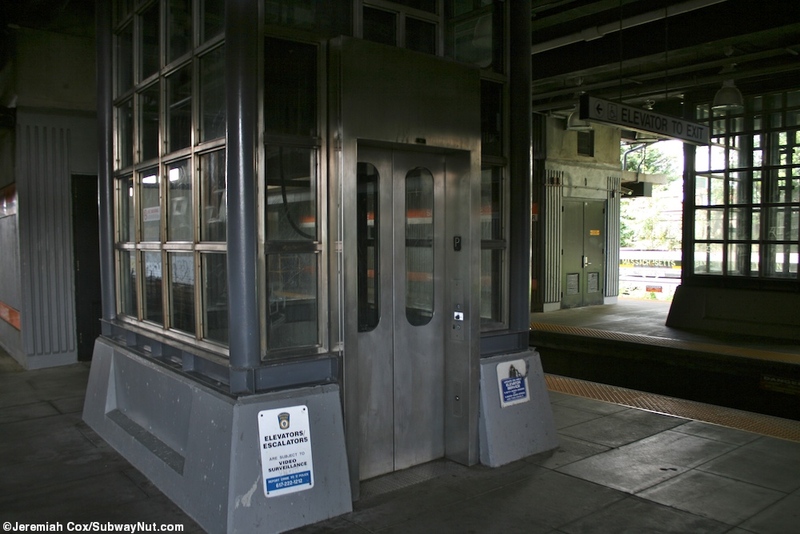 After the fare gates this leads out to two exits one to the upper level bus loop with stairs down to another passageway and the lower level bus loop and easier access to the 222 space parking lot. 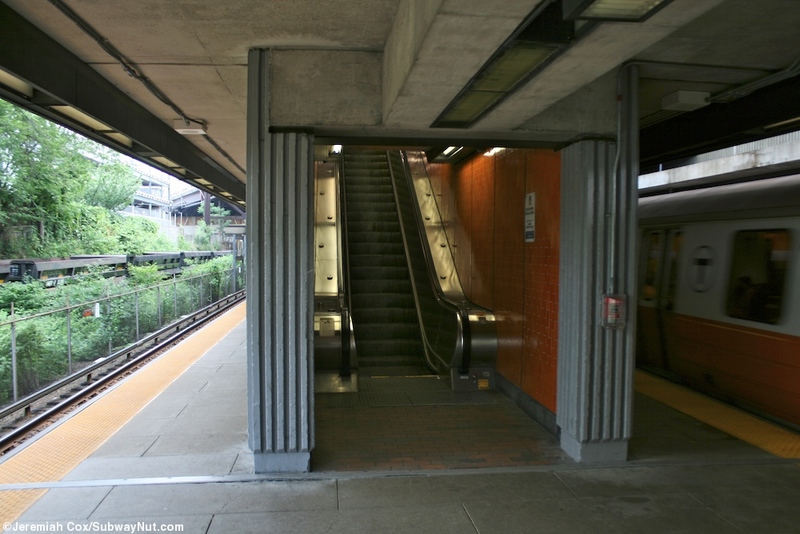 Just use the stairs or escalators?